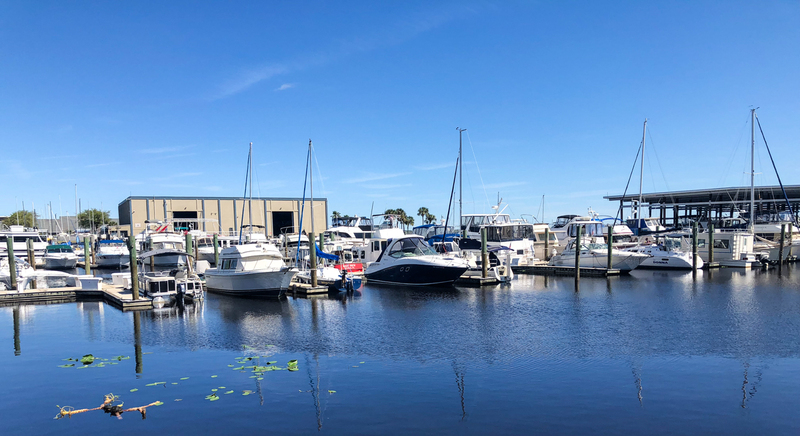 Sanford is located in the Greater Orlando area, about 30 minutes away from Downtown Orlando depending on (dreaded) I-4 traffic. 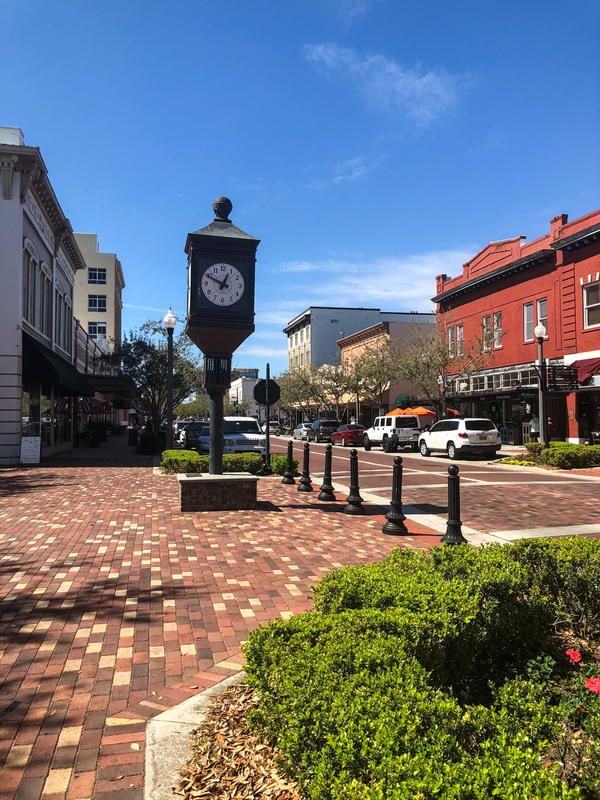 I have heard wonderful things about the charming, historic downtown area of Sanford and was excited to finally check it out. For fellow travelers, Sanford is also home to a small regional airport! 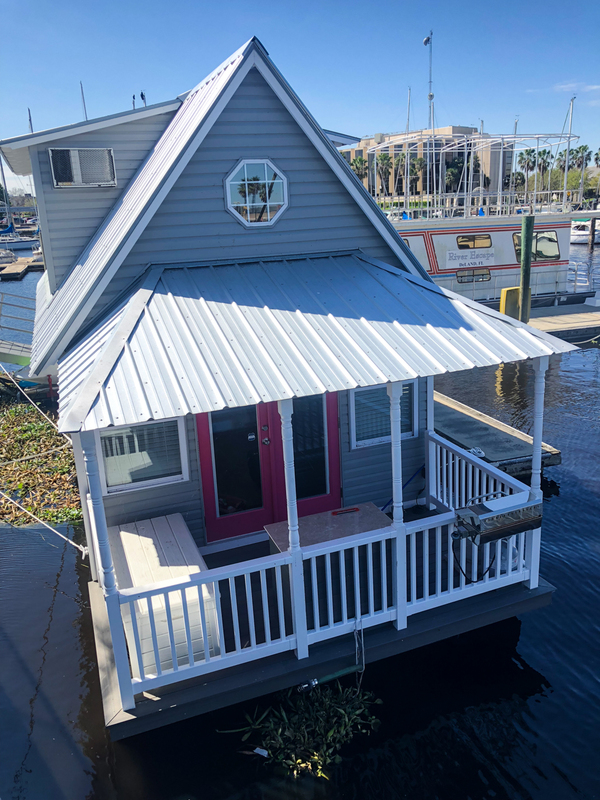 The cutest house boat with a pink door! 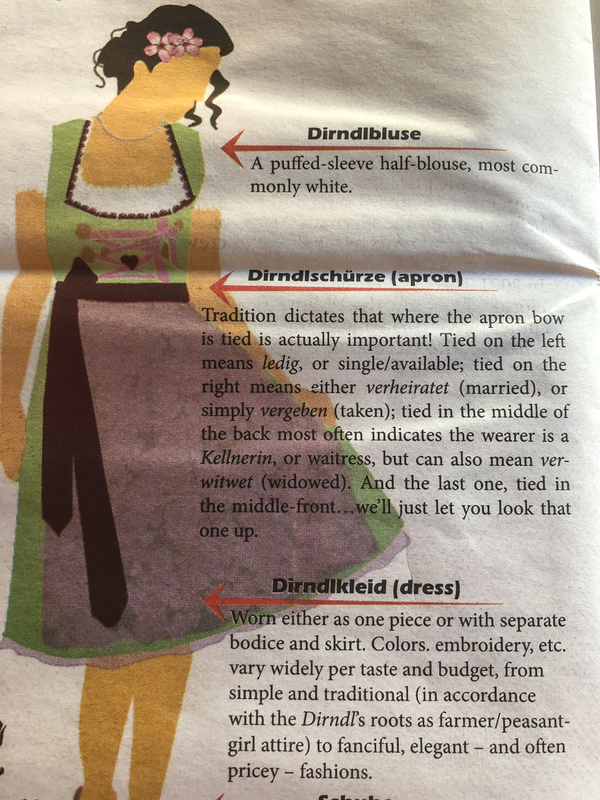 We arrived in Sanford in time for lunch and chose this classic German cafe. It is likely the most popular restaurant downtown, and therefore has a large amount of seating both indoors and outdoors. 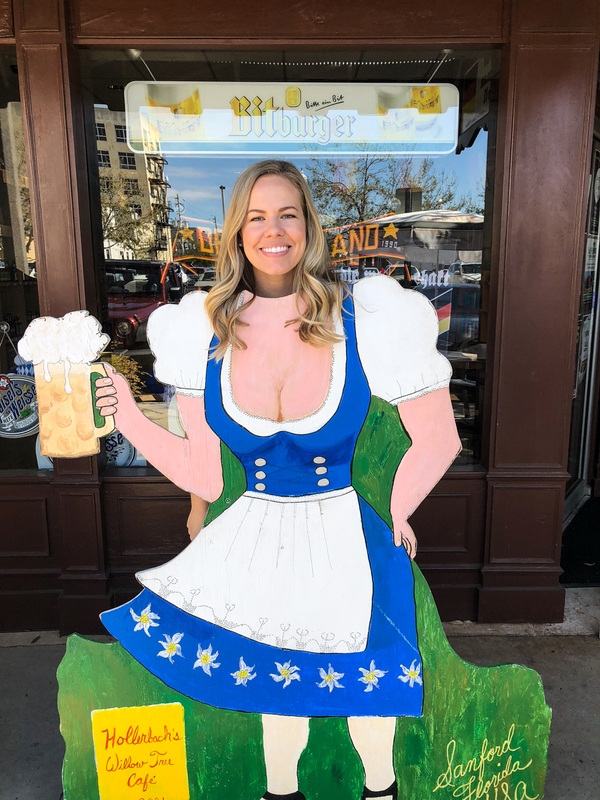 Groups looking for a fun spot to enjoy a "boot" of beer, locals and tourists alike all gathered here for a German beer and comforting, hearty German specialties. We ordered the Tucher Hefeweizen and Bitburger Pilsner to drink, and the Aufschnitt Tiller (chef's selection of cold cuts and cheeses), Weisswurst (lightly-seasoned grilled veal sausage w/parsley), Heaven & Earth (our special recipe of mashed potatoes with sautéed onions, bacon & apples) and Potato Pancakes (with applesauce of course) to eat. Needless to say, we were stuffed at the end. The portions were very generous, and the prices extremely reasonable. 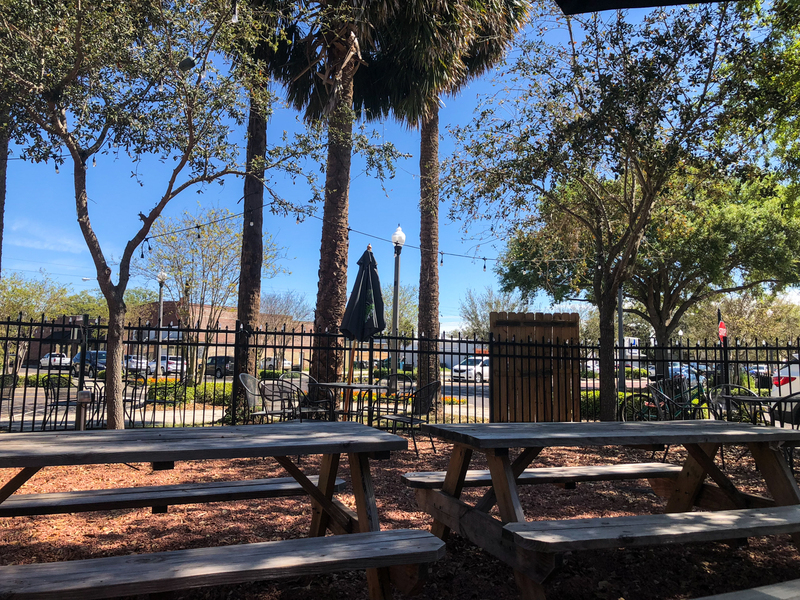 *If you end up eating somewhere else, simply want a yummy snack, or prefer to take something to-go, Magnolia Square Market below is perfect! 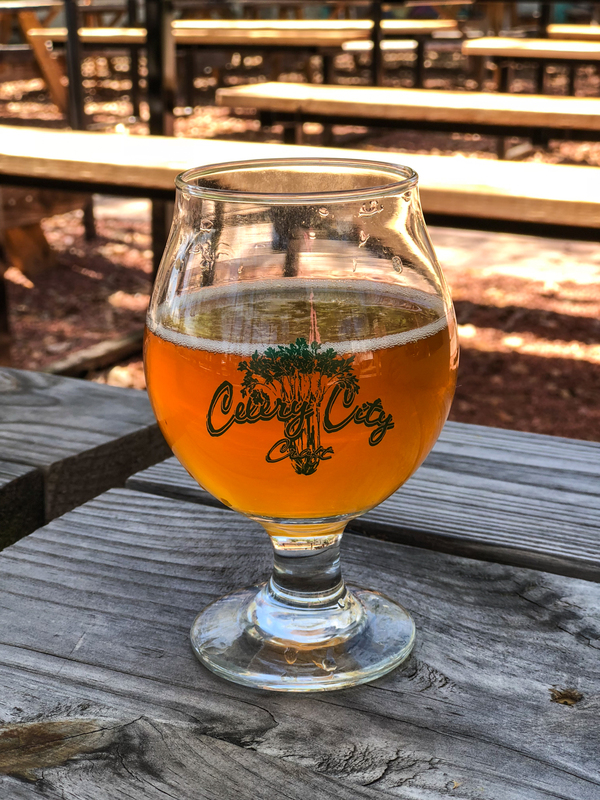 Named as a tribute to the large amount of celery farming the town of Sanford once had, Celery City Craft is a bar serving craft beer (51 beer taps – many brewed in Florida), wine and fresh, locally sourced bistro bites. We sat outside in the beautiful weather and enjoyed the Orange Blossom Pilsner Squared and the Peach Ginger Saison. The open air deck space is great for groups, with a covered area, lush trees, picnic tables and games. 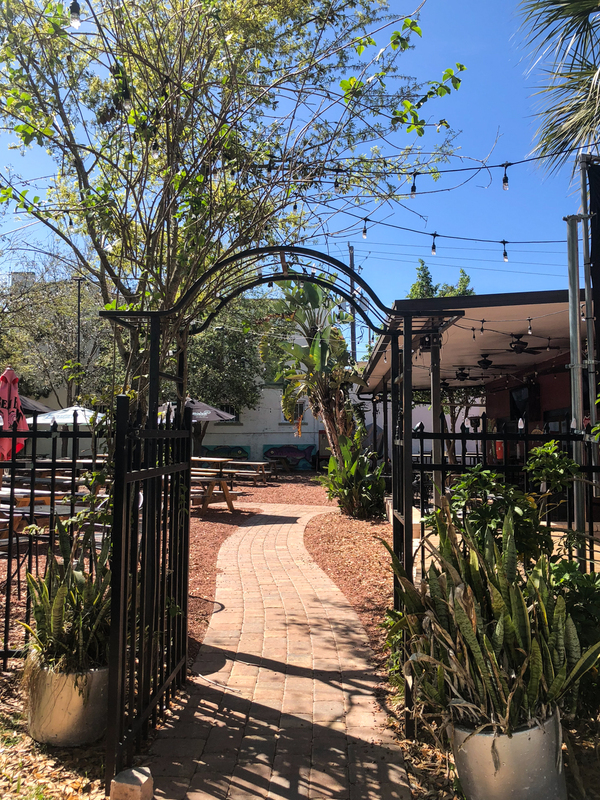 Located on the corner and providing beer to many of the surrounding bars, Sanford Brewing Company is a bright, open space serving beer, cider, mead, specialty sodas and food. We shared a flight to try some of their most popular and most unique offerings, with a side of tater tots and beer cheese (SO GOOD). 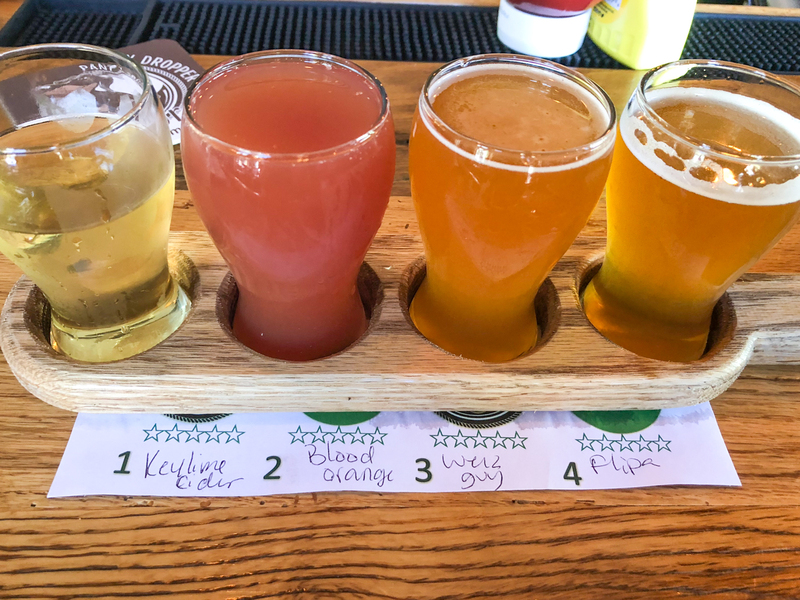 Our flight included a Key Lime Cider, Blood Orange Cider, Weiz Guy and Flipa IPA. Historically, I've never enjoyed IPAs, but this might have been my favorite of the whole flight! I realized it is likely a matter of trying and not liking IPAs when I first started drinking beer, but now that I have a more open palate from trying so many different beers over the past few years, I am more accustomed to the stronger hoppy taste. 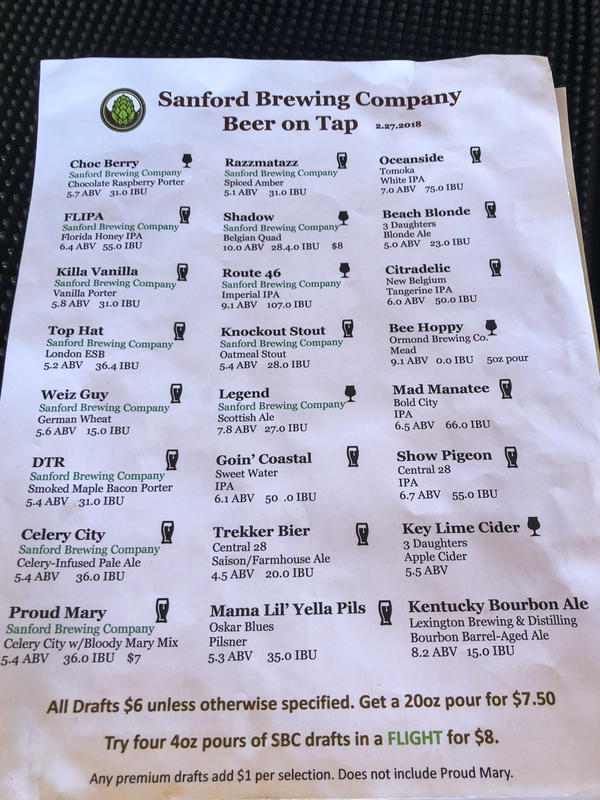 Sanford's first microbrewery was high on my list of bars to try out, and was one of our last stops due to an later opening time. We happened to go when one of the brewers was sitting at the bar enjoying some of his own beer. He was very interesting to talk to, and gave us a sneak peek into some new beers they are currently working on (I need to go back and try them!). They are on the Central Florida Ale Trail, which brought in many people as well. The last stop on our Sanford bar hop was this Belgian beer bar and restaurant. I loved that for such a small town, I went to a German restaurant, German market, British pub, British tea shop and Belgian bar/restaurant all in one day! I had so much trouble choosing what to order, with so many Belgian drinks I have never tried. 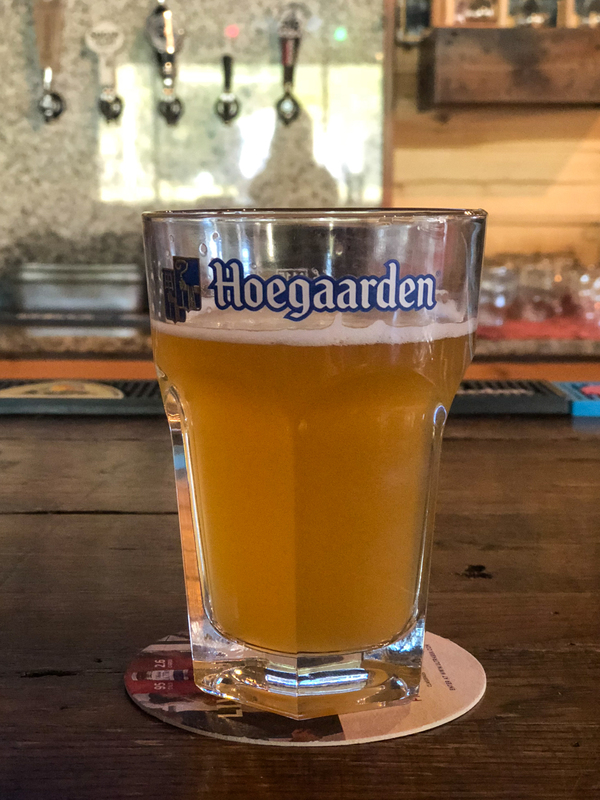 I ended up going with a light, classic Hoegaarden, which I've had and enjoyed many times before. 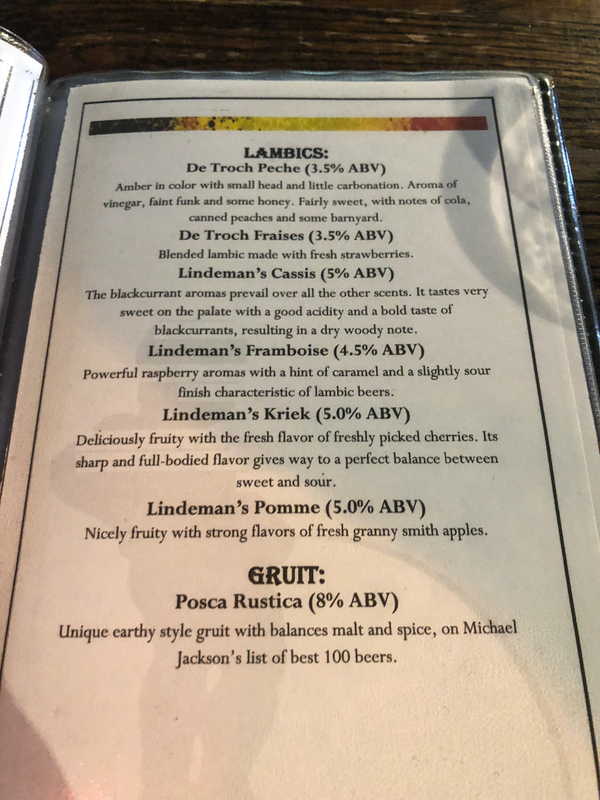 Next time, I want to try a Lambic! 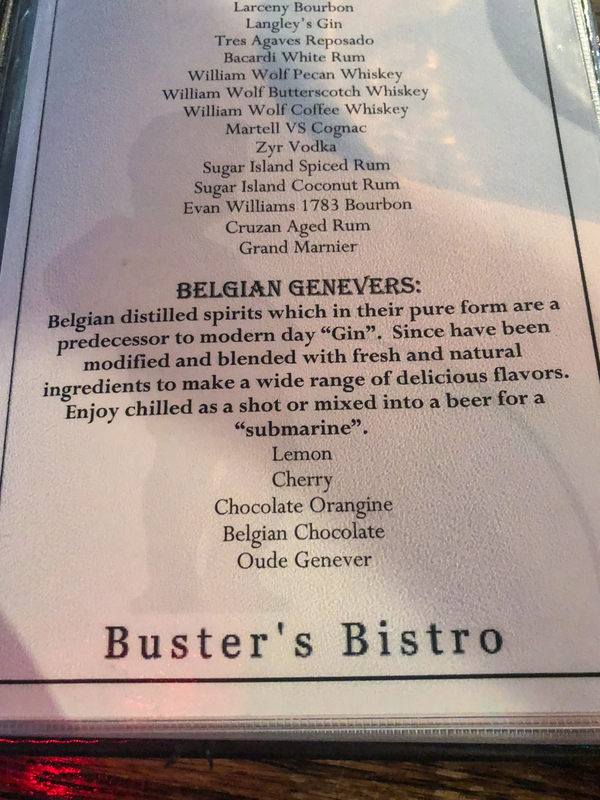 My boyfriend ordered a Belgian Genevere – a Belgian distilled spirit which in it's pure form are a predecessor to modern day "Gin." I have a weakness for boutiques like Magpie's. 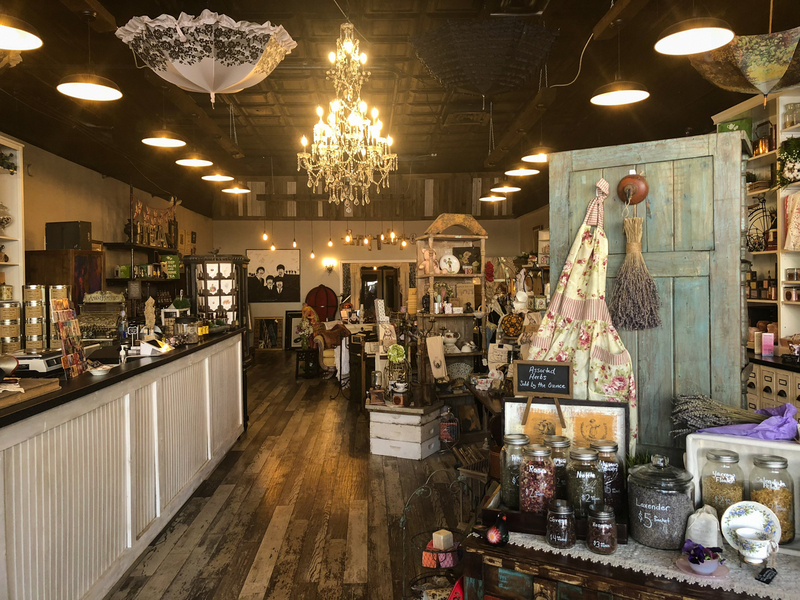 The witty stationary, handmade jewelry, soy candles, locally made cosmetics, gourmet artisan products, …I want it all. So, of course, I walked out with a random assortment of things I don't need but already love – orange blossom chapstick, headache essential oil rollerball, and "you're the gin to my tonic" card. Another thing I have a weakness for? Tea. I saw this shop on Instagram while on the drive to Sanford and instantly considered it a "must go!" place. I didn't go too crazy in the store, but I did walk out with 6 bags of loose leaf tea in a variety of delicious flavors – Florida Orange (the acidity of orange juice usually bothers me, so this tastes like it in a tea form), White Blueberry, Peppermint Ginger (two of my favorite types of teas in one), Hangover RX (still on the hunt for a hangover cure that actually works! ), Spicy Red Chai, and Amaretto Biscotti (dessert tea). The ladies there were so sweet, and gave out samples of what they were brewing too. I had a delicious Coconut Oolong! 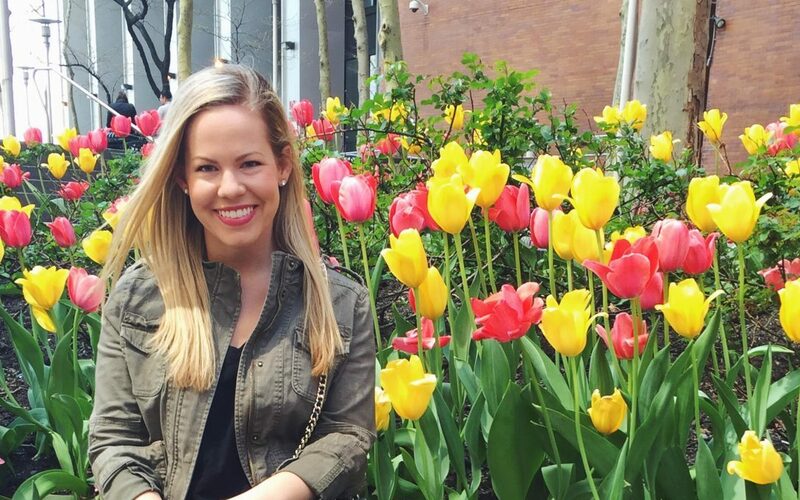 This German market is located around the corner from Hollerbach's in a beautiful square. The sell a wide variety of German beer, wine, deli items, fresh and shelf sweets such as Haribo, Toblerone and my personal favorite, Marzipan! If I didn't just have lunch, I likely would have walked away with a lot more than Marzipan rum balls. Yummm. 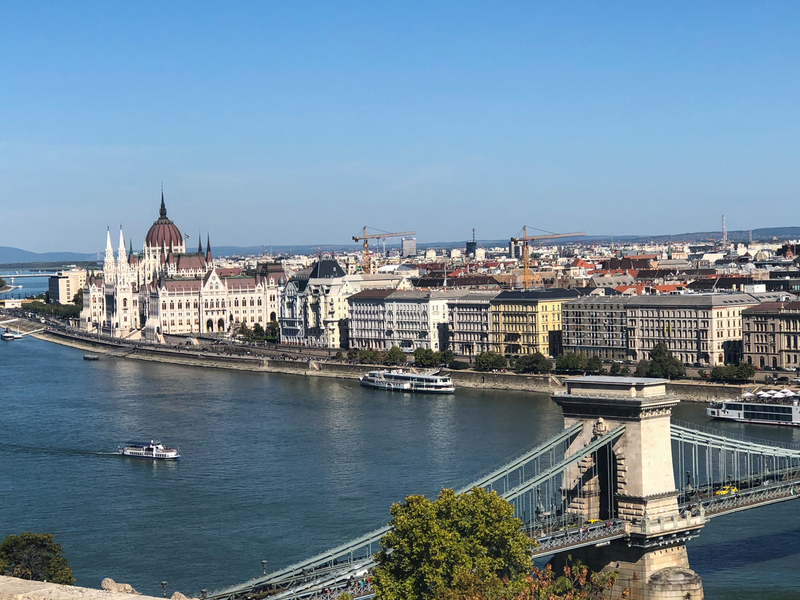 Since 1997, the founder of Washburn Imports and Winter Park native, John Washburn, has traveled to exotic destinations throughout Asia and the Pacific Rim, including Indonesia, India, Thailand, Burma, Vietnam, and China, to discover the treasures you'll find in their showrooms. Their other location is in Orlando near Lake Ivanhoe. 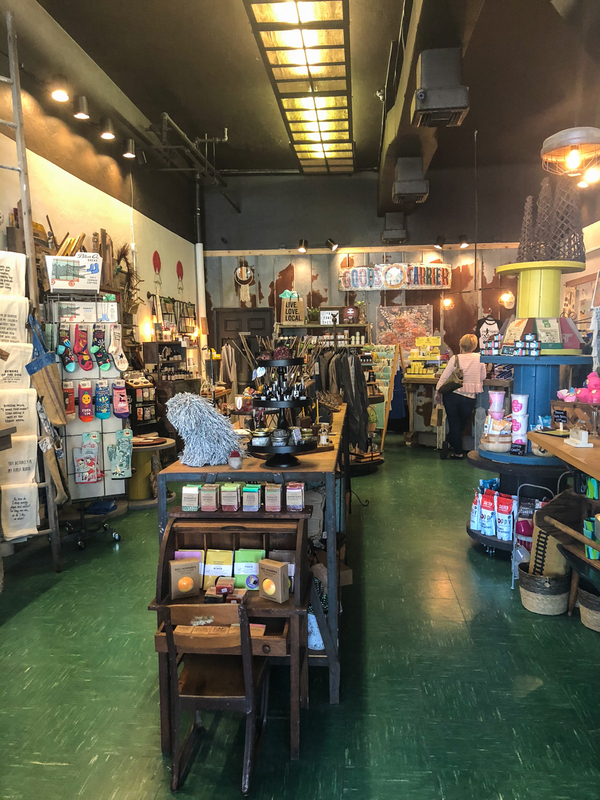 They have an incredible range of pieces, making for a interesting stroll through the store. 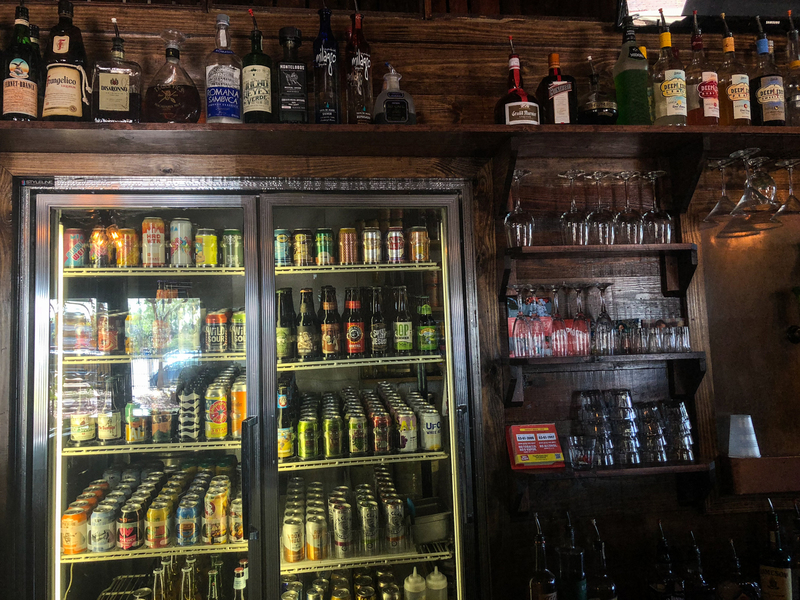 They also have a full bar inside the store, compared to the Orlando location serving only wine and beer. 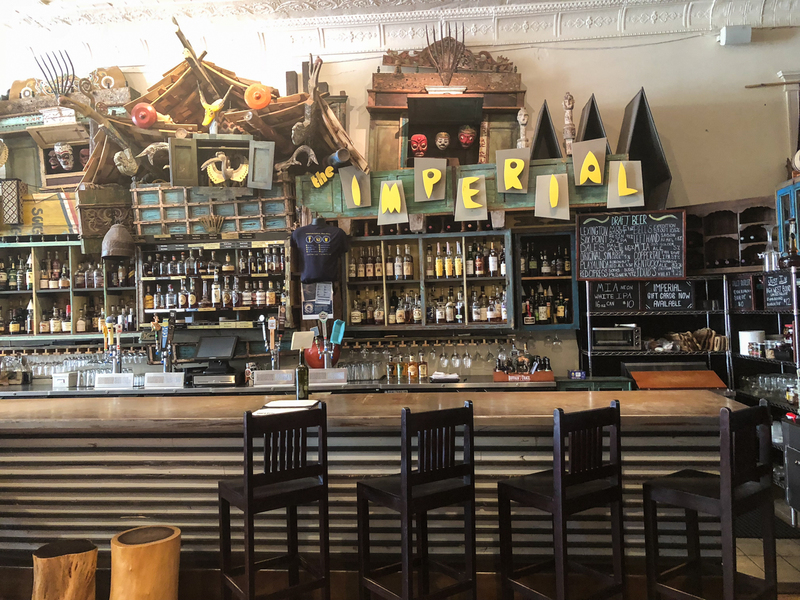 The bar is called The Imperial at Washburn Imports. 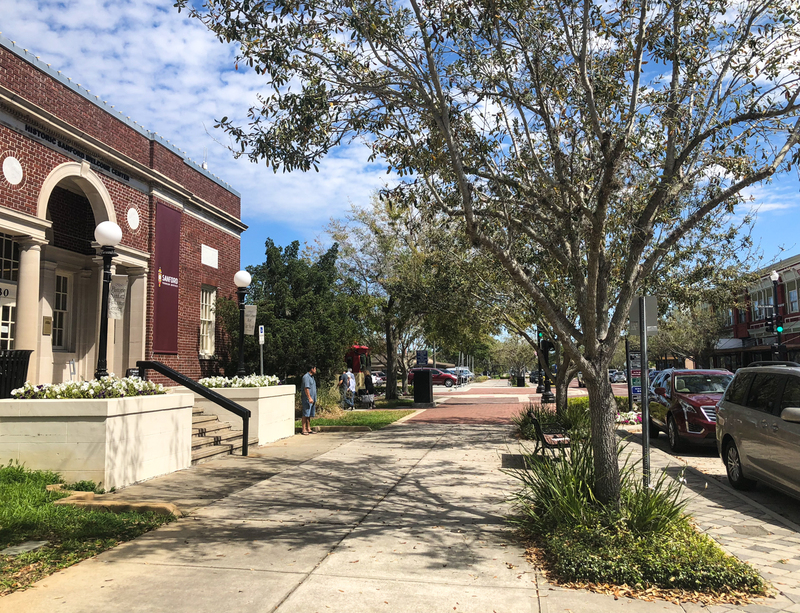 I had such a wonderful time exploring Downtown Sanford, and look forward to returning to escape the crowds of Downtown Orlando and Winter Park! 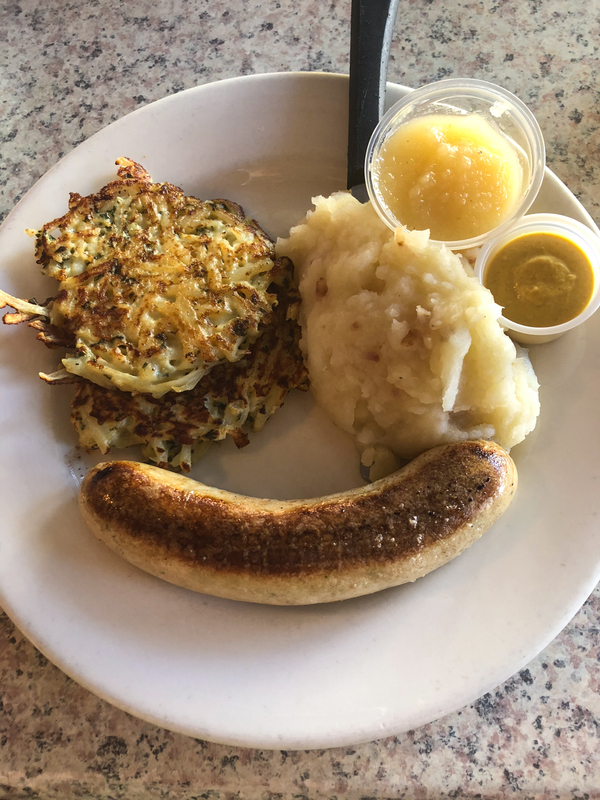 Bright, friendly spot offering schnitzel, wurst & other German classics, plus beer & live music. 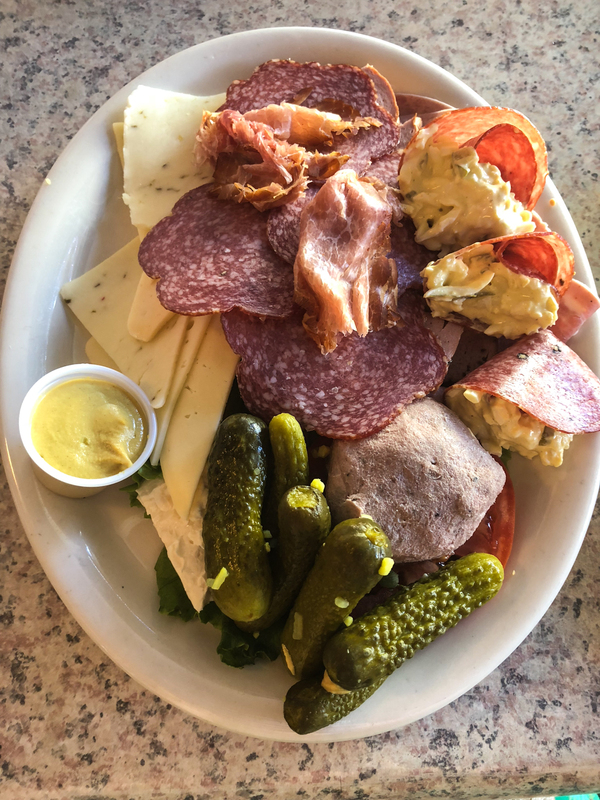 Laid-back German market & cafe featuring a deli counter with imported meats & cheeses. Outfitted with large display windows, as is customary with historic general stores of old, take a peek into Magpies and you will find artisan soaps and apothecary items, well-crafted housewares, and heartfelt gifts that are both funky and functional, from makers who focus on quality over quantity. At Magpies, supporting local isn’t just an idea, but a way of life. Purveyors of Fine Loose Tea, Soaps, Antiquities & Oddments. A British and Victorian themed venue inspired by vintage apothecaries and five and dime stores and the unique wares they carry. 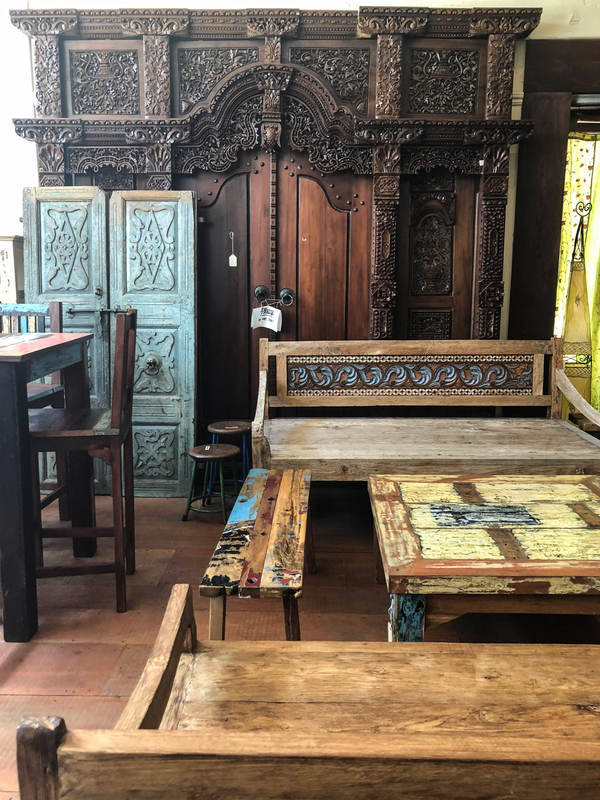 An unique furniture store with imported pieces from Southeast Asia, India and China. Also home to a bar serving only the finest beers, wines, and cocktails situated right in the middle of the import furniture store. 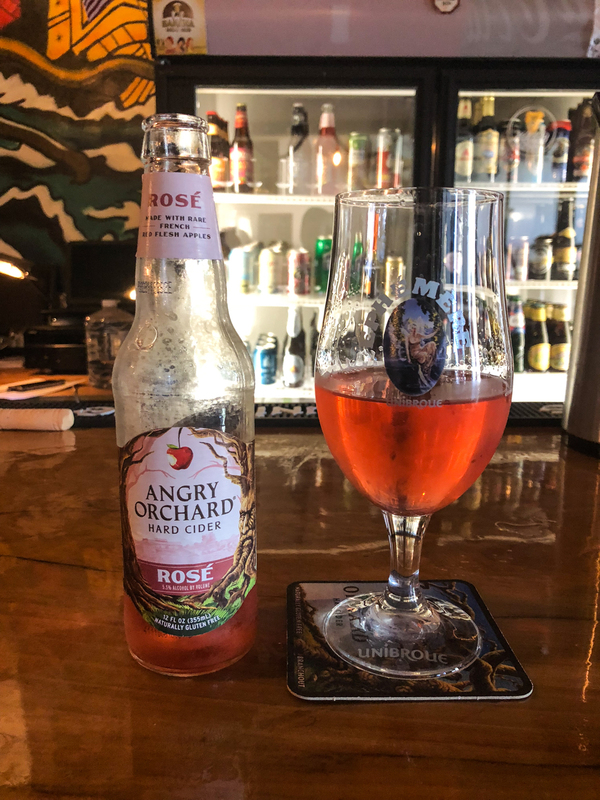 This bar in downtown Sanford serves unique craft beers, wines, freshly made and locally sourced soups, sandwiches, cheeses and fruits with an open air deck space outside. 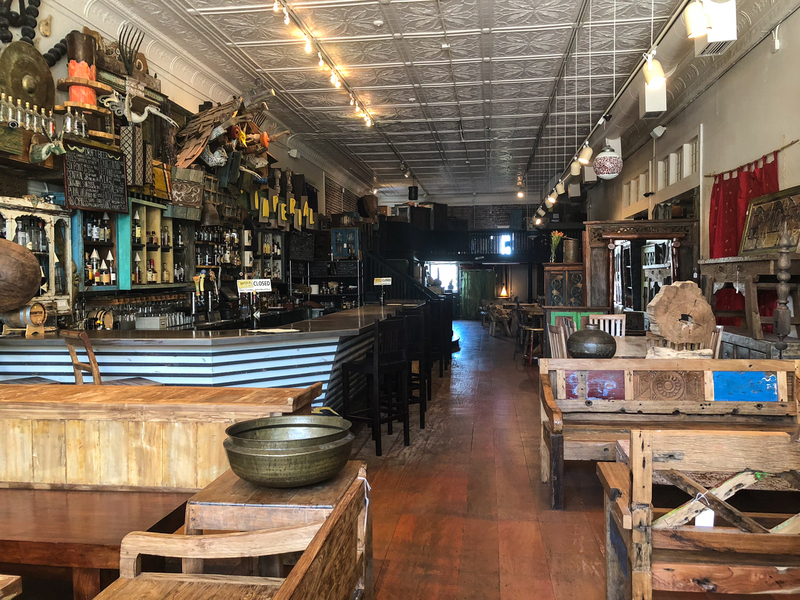 A 100+ seat taproom that is part eatery, part pub, part brewery, serving handcrafted beer, meads, ciders and specialty sodas. Sanford’s first microbrewery serving fine craft ales, a selection of wines, and sodas in a tasting room. 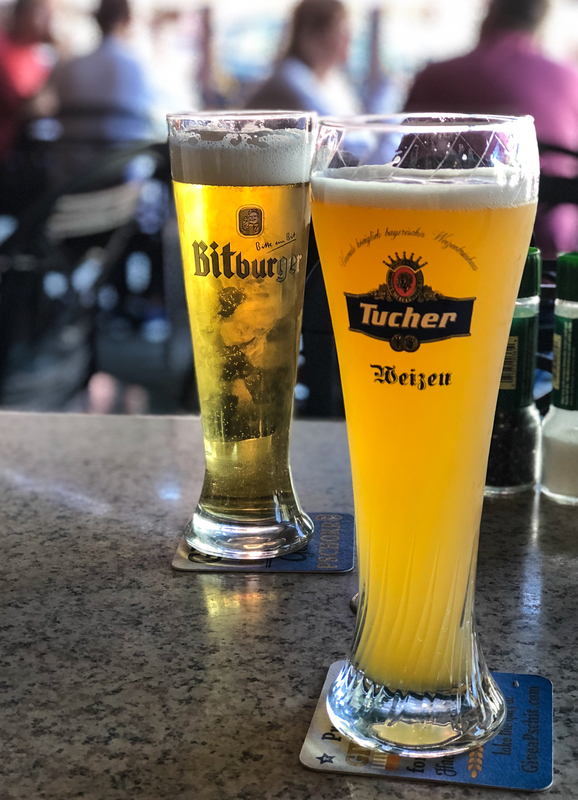 Brewpub featuring Belgian beer & traditional bar bites in rustic-chic digs with outdoor dining.